With all due respect to our neighbours, we all need to be aware of any planning permission they might want to submit if they’re intending on making any major structural additions to their property, or if they are planning on using their property for a purpose other than what it was originally intended for. It doesn’t matter how well you get on with your neighbours, planning consent is something which, if obtained, can have a fundamental effect on your enjoyment of your own property. This might include things like the reduction of direct sunlight you receive as a result of new buildings, and there are also issues about your right to privacy. Alternatively, they may be looking to convert their property in some way for business or commercial use which could have a direct effect on your home life. Assuming that planning permission has been granted, however, then you do have the right to object if you think that your neighbour has failed to comply with the terms of the planning permission agreement. Building or adding an extension(s) to a property which will affect the external appearance of the building. When you want to divide off part of a property to be used as a separate home, or you want to put a caravan on your land to be used as a home for somebody else. When you want to use your home (or part of it) for business or commercial use. How Will I Know if my Neighbour has Contravened Planning Regulations? Firstly, any planning application which is submitted requires the planning department of your local authority to write to all the neighbouring residences which might be affected by the plans. You have the right to inspect those plans and to get copies for yourself. You can also appeal against a planning application, although that does not necessarily mean that your objections will be upheld. However, assuming that planning permission has been granted, it’s important that you remain alert as to how any proposed development or use of the permission which has been granted is complied with. If you suspect that your neighbour may have failed to comply with everything contained within what was agreed, you should notify your local authority’s planning department at the earliest opportunity. Obviously, some contravention of what was agreed might be more visibly obvious than other aspects, although the planning department themselves will also have a vested interest in ensuring that compliance is met with completely. 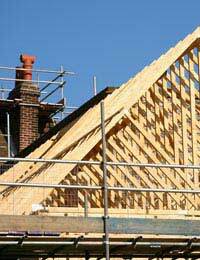 The council can enforce proceedings against people who have contravened the planning permission which they have been granted in the form of a Planning Contravention Notice. Severe financial penalties can also be imposed and your neighbour can be told to restore the property to its previous state at their own cost, even if that means demolishing a completely new building or structure if it does not comply with what was agreed to in the drawings of the plans. It’s also important to remember that, in addition to the planning permission, any structural changes will also have to meet the Building Regulations which, although often interlinked with planning permission, are entirely separate regulations which must also be adhered to. We live on a main road and have a side driveway.. on which we have two cars parked. Behind which is access to our garden and an annex which we have converted into an wheelchair adaptable living space for my Mother who suffers from a severe form of MS. When we have both cars parked, at the moment there is an 'open space' on the neighbours side in which you can walk through and take a wheelchair comfortably through..... However, my neighbour who currently uses their property as an office is planning on changing the property into 4 different sections/flats.. Their plans include extending the current fence/gate further forward to the front of the property... thus taking away from the open space currently used by my mother to go in and out of her annex. If they were to do this... it would mean there would be minimal space for her wheelchair and pretty much no space to get in and out of the car from the neighbour side either.... So is there anything we can do to? So my mother can maintain her wheelchair access area? My mum has been living in her house a yr. it has a very small garden.A neighbour has a stable door which used to access the back garden when the buildings belonged to him.He is now to only come into her garden if he needs access to that side of the roof. He however insists of having the stable door wide open into my mothers garden as he says birds come in and out. My mum wants the door shut as it infringes on her space and is quite ugly. How does she stand. I would say that because it is basically a stone building that is on her boundary and is uninhabited, that she can just close the door and keep it shut. Any thoughts??? I live in a mansion converted to flats and the owners self manage, so no Management company involved. It was converted in the 80’s. A new owner has decided he will use another flat’s flat roof as a roof terrace. The owner of the flat roof is very concerned about the flat roof not able to bear the weight of people walking on it as a tenant a few years ago damaged the roof and it leaked when it rained. We’ve asked him not to use it but he’s ignored us. We don’t think it’s got planning permission or building regs but I don’t know how to find, anyone got any ideas? I have a vacant plot of land adjacent to my 200 year old house in the Chiltern District Council area, Bucks. Planning was rejected two years ago, the same farmer is planning to put a temporary building in order to claim residence. Does he have the right to do this? Please advise. I suspect the neighbour breached building regulations in the building of his extension (some years ago) I've checked on the Council Website and there is no record for any applications for planning permission for his address. How would I be able to find out (if possible) if my neighbour followed Building regulations. Is there any time limit on Building regulations or is a hypothetical failure to follow building regulations lasting? My neighbour has built a kitchen extension but his builder has built up our kitchen wall over roof level as he said this was the only way he could seal it. They haven't put on the pitched roof yet but I think they are trying to rest one side on top of the raised wall on our flat roof. Also the wooden beam laid on the other side looks like it would overhang my property. I think I need to consult the council planning department because if ever I build a kitchen extension I'd be restricted by my neighbours work. We build a garage at our back garden less than 30m2 and 4meters hight with piched roof 6meters from our house. Without planning permission. Couple time chek it before we don't need permition to this size building. But our neighbours don't like how hight It is now. They inform about us to government. And told us to wait when some one will came to check It. Do I need to worried about It? Is there is any chance that we will need destroy it after. Your title deeds may explain about the brick outhouses/sheds, we can't really comment without much more information. My mother who is 84 has been subjected to an entire summer of building works on one side the noise is so extreme that she has not been able to sit in her garden at all. The dust is extreme and is affecting her eyes. She is afraid to complain and cause a rift. But now it gas gone too far and the neighbour is avoiding her. The dust Is in side and outside the house. Where should she go for advice? The worst scene is the attached side where a beam has been removed which is part of a major structural supporting beam in her house. She’s really desperate. Can anyone advise? My neighbour at the back of us has had a loft conversion with a dorma add on. Changed the roofline and had a double door at the back with no balustrade or balcony. The double door at the back now overlooks our house, especially compromising the privacy of my teenage daughters bedroom. I have checked the local authority planning application and no application has been made. Is there anything I can do or someone I should speak to ? My neighbor has moved his bathroom to over his front door,the breather pipe for the toilet does not go up the wawall and the drop on the main toilet pipe well there isn't one it flows round the corner to the back of the households but it's lever(no flow downhill) is he breaking building regs? The easiest way to establish this would be to talk to you local building control officer. My downstairs neighbour was planning to build a big extension and applied for planning permission. It meant that my balcony which sat over his existing extension would have to be replaced. He then ran out if money and fell out with his architects and builders and moved out, renting his flat to tenants. Recently while I was on holiday he demolished my balcony and covered his extension with some waterproof cover - raising the level and with no visible drainage system. My balcony doors no longer open and I fear rainwater will fall towards the house (my flat) soak in the brickwork and cause damp. The problem is my balcony was built by the previous owners without planning permission and is not demised on my lease. It does not officially exist and despite havingbeen there for more than 10 years, its was built in defiance off planning refusal. I inherited all this and now have to decide what to do. I don't want to negotiate with the difficult neighbour as he is not trustworthy. I would like to build a small balcony bolted to my home - with enough room for a chair. But as I am not the freeholder I can't really touch the outside. He is not the freeholder either. I thinker has done the work ion breach of building regulations and without informing the freeholder whose tesponsibility this is. I don't want to be a snitch nor do I want to start world war 3 by reporting him to the Council and to the freeholder - but I have to make my flat safe and replace the non demised balcony either with a Juliet balcony (which the Council would allow but which is really the freeholder's responsibility) or preferably something a little bigger to replace my lost (non demised) asset. The freeholder is notoriously lazy, shady and reluctant to do anything that won't make him money - which this would not. What is my way forward? Common law requires property owners touse their land in a way that does not increase the risk of flooding to a neighbouring property. There is however, a natural right of drainage that allows water that flows naturally across neighbour A's land to flow downhill naturally to neighbour B's land. Neighbour A cannot however,artificially channel water in a way that will cause damage your neighbour B's land. If the work of your neighbour has resulted in this "artificial" channelling, you may be able to seek damages/redress in the civil courts. Seek advice from a legal professional first. Hey, This is a bit complicated but basically we have a really bad relationship with our neighbours. We did an extension and they did theirs 2 years before. Thing is, because we live in a conservation area, they've built theirs higher against the planning permission they were given. The difference is noticeable when comparing both houses. Is there anything the LPA can do once the building the extension has been built? Yes they can make the owners remove it if it doesn't comply with conditions stipulated in the planning consent. My neighbour has built a garden building with the wall on my side serving as the boundary between our properties. He has installed two windows about 1 foot high and 3.5 feet wide which open onto my property/ garden. So physically the open windows will encroach upon my space/airspace! I have windows near there also but they are within my boundary- about 1 metre from the edge. His windows look directly at mine. Is there something I can do about this? The guy is a bully and he is relying on the fact that I am a single woman who he can intimidate. Hi Jeff. And to anyone who can help with my upcoming question. Can anybody tell me. What is the time frame , after a building development has been completed. Can you file a complaint. Either due to Party wall. Non adhereing to submitted plans or any other building irregularities and breaches. As I have had various answers. None of which are confirmed and I can' t see to find a definitive answer. I have been told. 5. 9. 12. Yrs is the time frame but cannot find confirmation. If any body knows. Please give me the answer.Many thanks.Dawson.None. This would be a separate legal issue, not associated with the party wall act. If you feel a neighbour has not completed work in line with building regulations, you could try talking to your building control officer. Hi Jeff . And to anyone who can help with my upcoming question . Can anybody tell me . What is the time frame , after a building development has been completed . Can you file a complaint . Either due to Party wall . Non adhereing to submitted plans or any other building irregularities and breaches . As I have had various answers . None of which are confirmed and I can' t see to find a definitive answer . I have been told . 5. 9 . 12 . Yrs is the time frame but cannot find confirmation . If any body knows . Please give me the answer . Many thanks . Dawson . None . Hi . Can anybody give me a suggestion to my plan of action . To my above query . Having many sleepless nights . And I have a health condition . That requires sleep rest and calmness . I have been told by several builders my situation should be investigated by planning enforcement . But as above stated . Building control have stated that you dont have to adhere to submitted plans if you have permitted development . This has been contradicted by several sources of construction personnel who I have seeked information and advice from . Could someone please browse through my above query and if they have any proactive suggestions . Please give me your view or knowledge on the matter . Thanks . Dawson . None. Hi Jeff . I have recently made a complaint about my neighbours single storey rearextension . On a semi detatched house . To my local authority . ( Manchester City Council . Building control department . There have been many building breaches what have been brought to my attention . Namely. The footings go beyond the boundary . Onto my land . The extension goes beyond the Party wall . The dimensions are beyond 3 metres outwards . And the bathroom soil and waste pipe has been directed from his bathroom through the wall into my soil pipe on my side of property . This does not comply to his submitted plans . As the building control officer has stated to me this morning . And he also laid a drain pot on my land side of property for his waste and sewage water. This was all done with me not living at my home at the time . Due to me having an accident at work on the day his development commenced . And I was abscent from the home for 7 weeks and could not oversee anything what may be untoward.This was done a period of time ago . I had regularly questioned what he had done . Pointing out all these irregularities . And he has stated . It is all above board . Though a lot of what he has done . Not only breaches building regulations . But also does not adhere to his submitted plans . He states that he was granted a permitted development . So he does not have to adhere to any submitted plans . Though I have been informed by two separate builders . Very much differently . The building control inpector who visited my property on Fri 13/ 7 / 2018. Has today echoed my neighbours comments . And stated everything is ok . As he does not have to adhere to any plans due to him being granted a permitted development . I have contacted two builders since my conversation with the Building Control officer . And they have said that I am being lied to . If there is breaches . Then they should be investigated by a Enforcement Officer . But the Building control officer has stringently stated . There is very little if anything that can be done . This is causing a lot of anguish . Due to the fact that a estate agent has said this can devalue my home considerably . Also prohibit any home improvements and a possible extension development for my own home . Aswell as the soil pipe situation .Which is stopping me modernising my bathroom . Also I never recieved any plans . As they were submitted six days after the work commenced . I was not served a Party wall act notice 1996. And I did not consent to any changes to be carried out on my side of property . His extension wall is only 70mm inside the dividing garden fence . So there is no longer fence panels dividing both properties . There is more to report . But I would like feedback on the above documented findings . And what can I do next . Or where do I go ? With Much appreciation . Dawson . Suggestions needed. My neighbour (whose house has had permitted development rights removed) has planning permission to build a side garage. He has built a habitable room. When I complained to my local council they instructed applicant to submit a retrospective planning application. This has not yet been determined. Building works have slowly continued. Window frame at front of building (where garage door is granted to be built) has been installed and is grey in colour whereas the retrospective planning application stated it would match existing frames, which are white. So, to my mind, applicant is clearly in breach of a retrospective planning application which has not yet been determined. My query is when do I best submit my complaint for maximum effect? Applicant is allowed one retrospective planning application. So do I wait until retrospective application is determined before pointing out that build is in breach of what has been granted (if indeed retrospective planning permission is granted)? Or am I best, all ways up, in complaining as soon as possible that applicant is building not to the retrospective application? Or does it make no difference because, in reality, anyone can build anything, anytime, anywhere, without permission and local council will never take any action? Build is in excess of what is currently allowed under permitted development rights and house does not have permitted development rights so, to my mind, council should never have given permission for side garage in first place. But they did, despite plans contravening the councils own policy documents in many respects. But it is the timing issue I am wanting suggestions on. I have earlier accused my local council of malfeasance concerning an earlier application but the LGO refuse to investigate. What a surprise. We helped our daughter buy a house that is a grade two listed building. It is one of two semi-detached houses. There is a very tiny garden which the deeds say belongs to the neighbour, but our daughter is allowed access to the drains in an emergency. She is perfectly happy to keep the back door locked and accepts that the garden is not hers. However the neighbour has now erected a trellis with ivy growing up it 30 cm from the kitchen window and a huge sturdy kids playhouse outside the backdoor and bathroom window. Not only do these block the light into our daughter's house, but the windows cannot now be fully opened. The playhouse blocks access to the manhole cover and also prevents a quick escape in an emergency such as a fire. Is this legal? Now it is summer, the neighbour also complains about the "adult" nature of the conversations her children overhear and our daughter is upset by the sound of shouting children. Do both parties just need to be considerate or are there some laws that pertain here? I’m selling my house and my neighbors live in a grade 2 listed former chapel. They have recently installed additional skylight windows to the rooftop, but I have found no application for this on the local Authority planning website, and I’ve received no notification. It may be that they don’t need consent, and I don’t want to accuse them of anything, but it does alter the look of the building & I’m concerned in case my new buyers raise this as an objection! Any thoughts?